Knights in shining armor and fire breathing dragons. The stage is set for battle under a full moon. 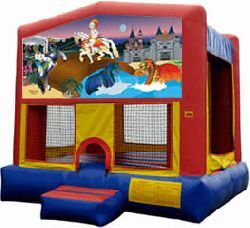 Cue suspenseful music…and begin the bouncing fun battle.